Often overlooked but second hand Citroen car parts can be a very sensible solution. 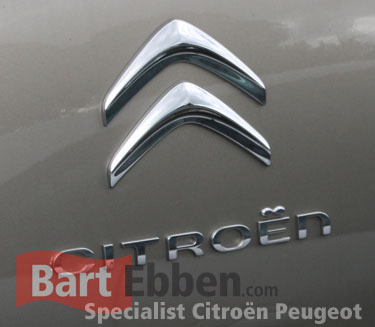 A valuable alternative to new parts, because prices are roughly half of the normal retail price at the Citroën dealer. Find the second hand car part for your Citroen in our online catalogue, or send us a part request straight away! Find car parts on our website for C1, C2, C3, C3 Picasso, C4, C4 Picasso, C4 Cactus, C4 Aircross, C5, C6, C8, DS3, DS4, DS5, DS7 and the AX, Saxo, ZX, Xsara, Xantia or XM as well. You can even find second hand Citroen car parts for the Citroën Nemo, Berlingo, Jumpy - Dispatch en Jumper - Relay vans. For over 35 years we have been a reliable supplier for second hand Citroen car parts with a continously growing know-how. This becomes your benefit when it comes to selecting the right spare part for your car. So feel free to ask our salesteam and let us help you in finding the right used car part for your Citroen model. We are more than willing to help you choose properly from our wide range of parts like an engine, gearbox, ECU computer, Airbag, steering pump, steering rack, exhaust manifold, radiator, window mechanism, door, bonnet, head light, bumper, engine oil sump, cilinderhead, etc. We ship second hand Citroen car parts worldwide every day, our salesmen have excellent technical knowledge making ordering the right auto parts very simple. Using proper packaging material and experienced, automotive shipping companies we do everything within possible to get the parts to your location in a reliable way and within a reasonable time. We can provide second hand Peugeot car parts as well.